Join 1000s of other WWOOFers (volunteers) experiencing Australia with the locals. Travelling around Australia, volunteering for 4-6 hours per day maximum on a Host farm, getting your meals and accommodation provided. *4-6 hours per day maximum. Please note it is a maximum of 38 hours in any 7 days. Schedule is worked out between you and the Host. Connect to Host Farms and other WWOOFers on the Website or Mobile App. Create your own unique Profile, showcasing your enthusiasm, skills and personality to Host farms. Found a potential Host Farm? Save them to your Favourites and access them online or offline. Contact Hosts in real time with Instant Private messaging as well as Discussion Forums and a Notice Board. Upload your favourite pics to your Profile gallery, or show who you are with Videos. Download our free Mobile App and search for Hosts, or connect with other WWOOFers in Australia. Use the intuitive Map Search and find Hosts or other Volunteers nearby your location or anywhere in Australia. Read the Reviews of Hosts and other Volunteers, or leave your own Reviews of Host Farms you’ve stayed with. Save money by signing up with your partner or travelling companion. Dual Memberships available. Connect with Host Farms directly or team up with other Volunteer WWOOFers and share your experiences. 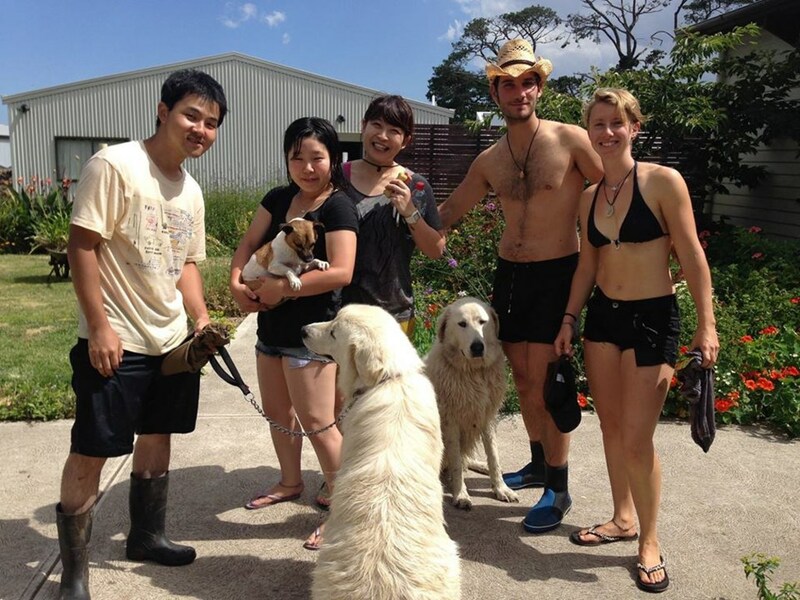 WWOOF Australia was established in 1981 and is Australian owned and run. It is part of a worldwide WWOOF volunteer and cultural exchange movement. Each country operates independently, with its own lists of WWOOFers and WWOOF hosts. Membership is for one (Single) or two (Dual) Volunteers for 12 months. Host profiles provide members with names, contact details and a description of each host property, as well as the work to be done and what kind of accommodation and meals are provided. Our hosts practice sustainable land care: organics, bio-dynamics or permaculture. Choose the host that interests you, contact them and offer to help out. Volunteer for 4 to 6 hours each day (schedule of days and hours to be worked out with the Host prior to your arrival) and in return your host will provide all of your meals and snacks and accommodation, often in their home. Your food will often have been grown on the property. WWOOFing is a hands-on way of learning about organic farming and environmental rehabilitation, but that’s not all. Leave the tourist trail and see the real Australia, visit unique places off the beaten track, meet the locals, save on travel expenses, add skills to your resume, improve your English and offset your carbon travel footprint at the same time! WWOOFing is one of the most eco-friendly ways to travel. We strongly advise WWOOFers to ensure they have adequate Travel insurance and medical cover to suit their needs. The cost of ambulance transport and hospital admissions in Australia is VERY expensive. Get a Free Quote here. Joining WWOOF Australia is as easy as 1, 2, 3 - gain access to Organic Host Farms and experience Australia as the locals do. Don't forget your Travel Insurance medical services in Australia can be very expensive! Visa information as well as some History and background as to what WWOOF is all about. A WWOOFer is a volunteer WWOOF member. If you live outside of Australia and wish to pay by Bank Deposit, please contact WWOOF Australia for alternative arrangements, as overseas banking fees are expensive. Which Visa do I need to WWOOF? 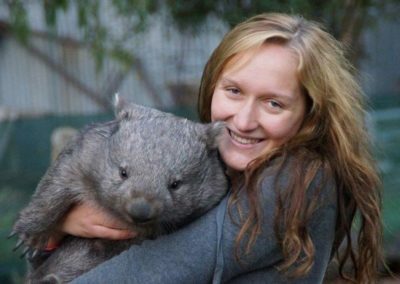 You must arrange your entry visa to Australia before you join WWOOF. WWOOF Memberships will not be refunded if you cannot obtain an entry visa. WWOOF Pty Ltd and WWOOF hosts cannot assist with travel costs or visa applications, so please do not ask. On Visitor visas any work must be genuinely voluntary and must be work that would not otherwise be undertaken by an Australian resident. This principle also applies for those intending to undertake WWOOFing with commercial operators (such as large organic beef farms). WWOOFers undertaking work with commercial organisations risk being in breach of Visitor visa conditions which do not permit work. The Visitor visa does not offer the wide scope of options that are available to those who are holders of Working Holiday or Work and Holiday visas which permit work. WWOOFers travelling on Tourist Visas should join WWOOF as part of their holiday, not the main reason for it. In most cases these WWOOFers want to be doing something useful, learning about organics and permaculture and getting to know some real Australians. This is much better suited to the pace and lifestyle on non-commercial WWOOF Host properties, where they are generally treated as part of the family. They still have all of their meals and accommodation but the hours are generally less formal and as the property is not generating an income the Hosts are far less likely to be paying someone to help around the property. There are a large number of non-commercial and hobby farm WWOOF hosts in the program to choose from. the work is genuinely voluntary and no remuneration is received in return for the activities. It is acceptable to receive meals, accommodation and/ or reimbursement of out-of-pocket living expenses in return for voluntary work. For all of the above visas, please see the Department of Home Affairs website for conditions. We strongly advise WWOOFers to ensure they have adequate Travel insurance and medical cover to suit their needs. The cost of ambulance transport and hospital admissions in Australia is VERY expensive. How do l join WWOOF? 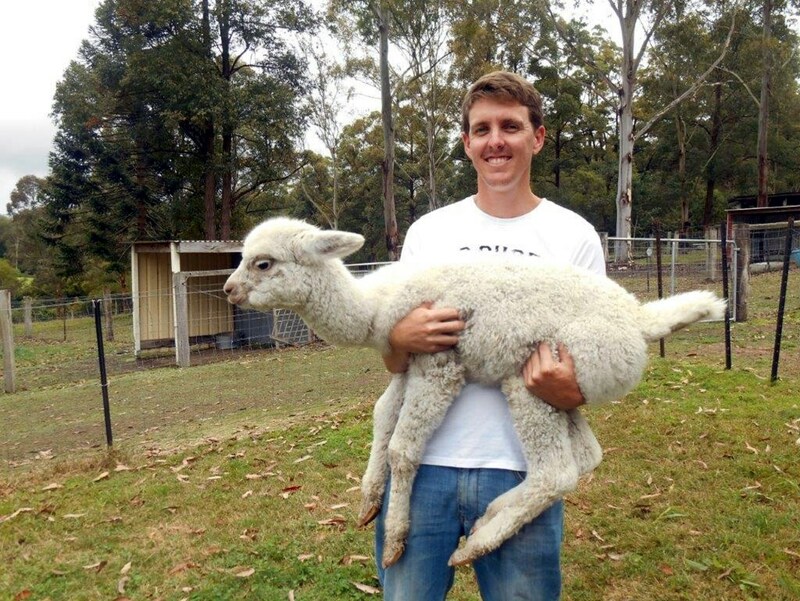 Join WWOOF online at wwoof.com.au for instant access to WWOOF hosts all over Australia. Join WWOOF by phone, call WWOOF 03-5155-0218 during Office hours 9:00am to 4:30pm Monday to Friday, have your credit card handy, or ask for our bank details and we will activate your membership as soon as your payment clears our account. 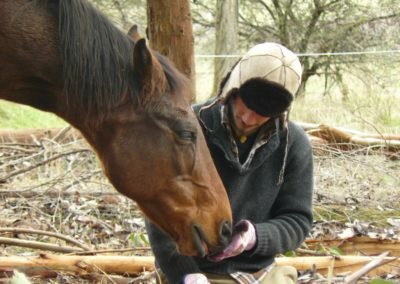 Join WWOOF by mail: Pay by credit card, cheque or money order (payable to WWOOF Pty Ltd) please mail to WWOOF Pty Ltd 2166 Gelantipy Road, W Tree, Vic., 3885 with your full name, phone number, email, mailing address, and a copy of your photo ID. Join WWOOF at an agent/sales outlet near you or on arrival at a host property for the same price as joining directly with WWOOF Australia. You will need photo ID: passport or drivers license. 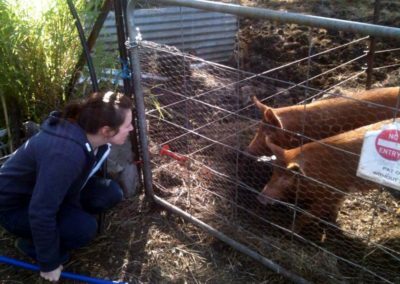 What does my WWOOF Membership Include? 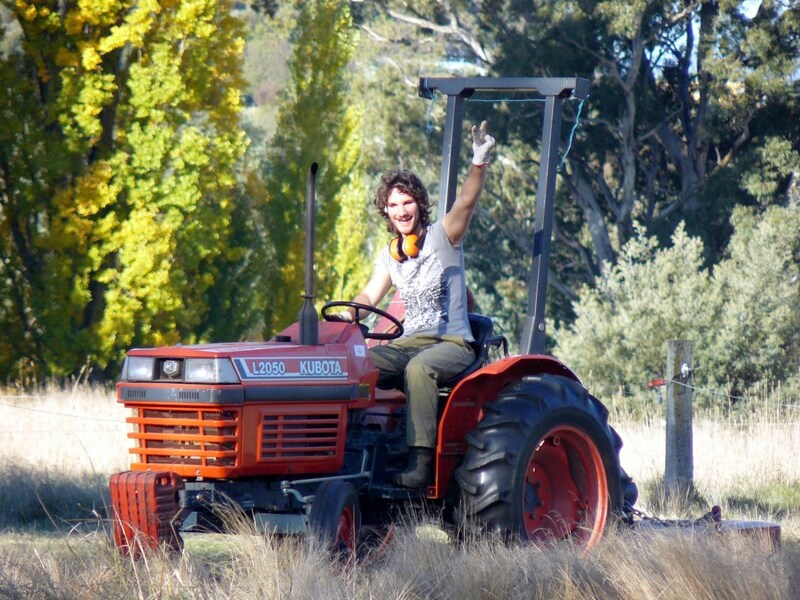 Support from the friendly staff at WWOOF Australia by phone during Office hours or by email. 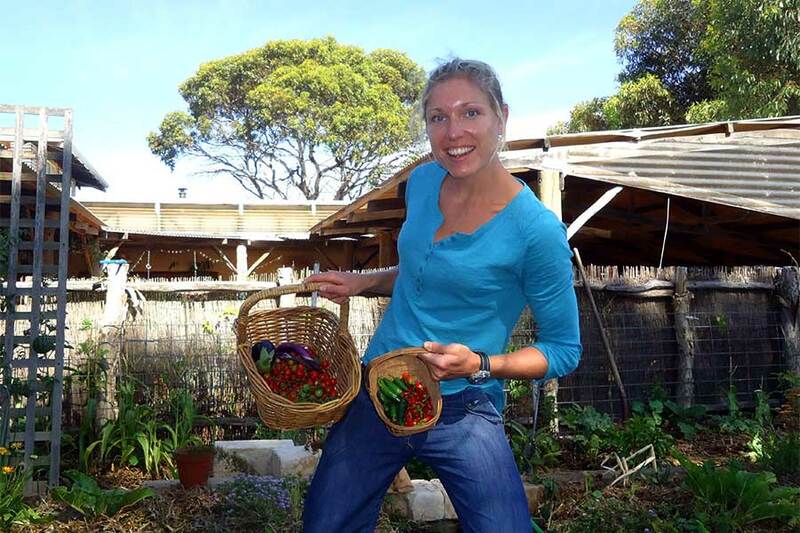 Full access to WWOOF hosts Australia wide. Full access to the WWOOF Website and App. Opportunities to learn practical skills. Meet real Australians, spend time being part of their lives. NOTE: We strongly advise WWOOFers to ensure they have adequate Travel Insurance and medical cover to suit their needs. WWOOFers volunteer for 4 to 6 hours maximum each day * for their host in exchange for all their meals, accommodation, social engagement and the host shares their knowledge and organic techniques. Hours can be flexible and differ from host to host as well as from season to season. Many hosts are happy to arrange WWOOFers hours to allow for days off and time for sight seeing. *A maximum of 38 hours in any 7 days. What type of work do WWOOFers do? WWOOFers mostly help with outdoor farming and gardening type work. This varies from host to host and from season to season. It can include all aspects of plant and animal care, fencing, general farm maintenance, building, preserving food, packing produce, helping out at markets. Generally WWOOFers help out with whatever the host is doing at the time of their visit. In regards to the 4-6 hours we highly recommend you discuss this with the host prior to your visit or before you start your first day as this can vary between hosts, particulary the days preferred. WWOOF is a network of large and small organic, bio-dynamic and permaculture hosts and volunteers who help them so please do not ask hosts for money. Will WWOOF Sponsor my Trip? WWOOF and WWOOF hosts do not sponsor volunteers or assist with travel or visa costs. WWOOFers are responsible for their own visa and travel costs as well as any personal needs. What age do I have to be to WWOOF? 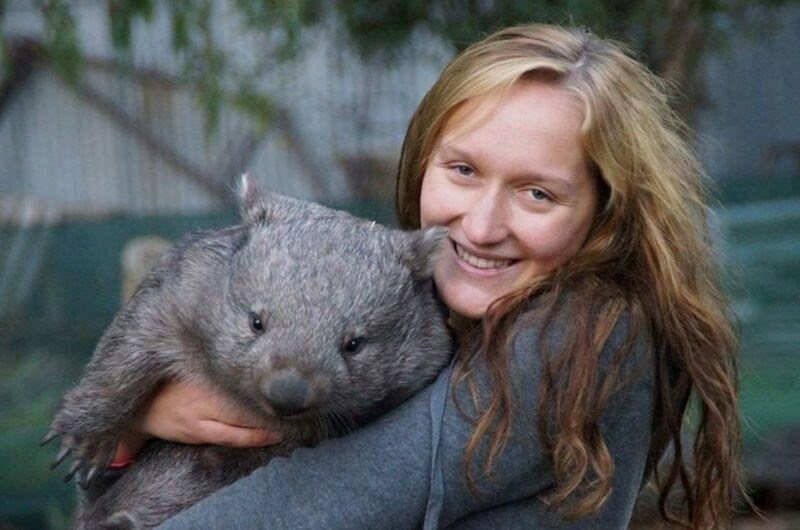 Anyone over 18 and of any nationality - including Australian can join WWOOF Australia. 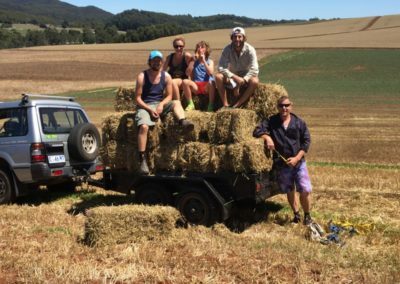 If you wish to join WWOOF Australia and you are under 18, you must be accompanied by a parent or legal guardian, who will also need to join WWOOF. WWOOFers require average physical and mental fitness, maturity and independence to participate in the program. WWOOF is generally unsuitable for persons suffering from psychiatric or psychological conditions. Please contact WWOOF and/or your Medical practitioner to discuss if in doubt. How will a host know I am a WWOOFer? Each volunteer needs their own WWOOF membership. Hosts will check your WWOOFer User Name which is your membership ID to head office. You can show Hosts your profile in your WWOOF App or on the WWOOF Website, this is your proof of current membership. Host are required to record your details in their guestbook, including your visa type, passport and photo ID, on arrival . Hosts will arrange WWOOFer membership on arrival for non-members, checking Photo ID and collecting payment, or by assisting them to join online. WWOOFers are a guest of their host. The 'House Rules' will differ at each host and must be respected. Members refusing to abide by the WWOOF Guidelines or the 'House Rules' of the host can be asked to leave. WWOOFers with a complaint about a host, and hosts with a complaint about a WWOOFer should contact wwoof@wwoof.com.au in writing with their concerns so they can be followed up. All complaints are taken seriously and are dealt with sensitively and confidentially. Host’s or WWOOFers name and membership number or User Name. WWOOF will contact the member (host or WWOOFer) to request details of recent WWOOF visits. We will ask these other members about their visits. At WWOOF’s discretion the matter will be discussed to prevent future issues, or if very serious, we may immediately suspend or cancel the membership. If a matter is discussed and we have a further complaint of a similar nature the member will be given a final warning. A third complaint will result in cancellation of membership. 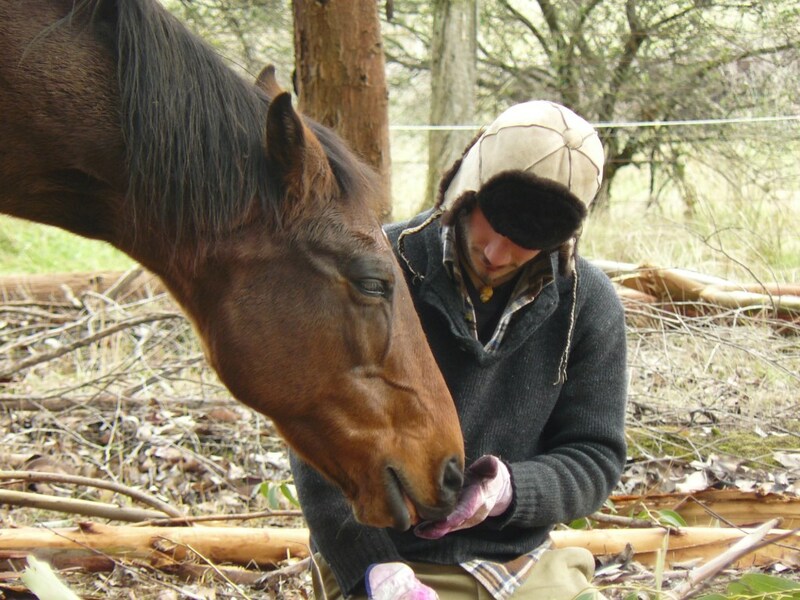 WWOOF does not condone the breaking of State and/or Federal laws. WWOOF reserves the right to cancel any member’s registration immediately if we believe their actions may bring the name of the WWOOF program into disrepute. In the unlikely event of a very serious issue, we recommend the Police are contacted immediately (if appropriate). WWOOF liaise with Police in these cases. The WWOOF member concerned will be suspended during the investigation. Can I go WWOOFing with Children? Many host farms welcome children by arrangement - please look at a Host's profile to check. Searching the WWOOF hosts for "children b.a." (by arrangement) is the quickest way to find these hosts. The most important point to make is that - please - never WWOOF with children except by prior arrangement with the Host. Although you may be keen to WWOOF, your child may not like the idea of a strange place, new faces, and not sleeping in their own bed. It would be sensible to start with a short visit. WWOOFing is about helping the Host, and if you are also looking after a child then the help you can give is limited. Children must be supervised at all times. You cannot just tell older children to "go off and play". Farms can be dangerous places - they are not playgrounds. Younger children may not have the patience needed to allow you to hoe a long line of vegetables, nor should they be near you when you are chopping wood etc. One solution is to travel with another single parent or a partner and take turns to supervise. Remember that the Host will be feeding and accommodating several people in exchange for one person's help, so a contribution to the cost of food might be needed. Many Hosts have limited resources, which is why they ask for WWOOF help. Please note you might be required to bring your child's food, each Host is different and this should be discussed during your arrangement set up. Some Host farms are in remote places and those with children welcome the company of others. Being remote means that you need to carry everything your child might need since popping down to the local shop won't always be possible. At many farms there will be other WWOOFers - some will like children, others may not - and you may well be sharing accommodation and have to consider the fact that everyone, including yourself, needs a good nights sleep after a hard days work.Please do not think in terms of giving the children a nice holiday on a farm. There are specialised farms which offer this sort of holiday. We receive many reports of excellent WWOOFers with children but there have also been some disastrous ones.Those that go wrong, are usually due to poor arrangements prior to the visit - expecting behaviour from the child beyond their capabilities at that time - or expecting unreasonable facilities from the Host. Where else in the world can I WWOOF? To WWOOF in other countries, you will need a separate WWOOF membership for any country that has a National WWOOF Group. For contact details of WWOOF groups and information about WWOOFing in countries without a WWOOF Group, see WWOOF International. Countries with a national WWOOF group are listed on the WWOOF International website along with links to their websites and other contact information. In these countries, we strongly recommend that you join the group in the country that you are going to. The Green Compass is an online magazine that focuses on international volunteering and sustainable living. The Green Compass reports from international volunteer schemes where we provide global perspectives into a sustainable and delicious way of life. Be sure to join a legitimate WWOOF Group, there are many websites publishing WWOOF host details which have been pirated from outdated WWOOF lists from all over the world. Most of these lists include deleted Hosts who have been removed from WWOOF programs for bad behaviour and other reasons. WWOOF hosts will want to check your WWOOF Membership against your passport or other photo ID, if you contact Hosts from one of these fraudulent websites you will not be issued with a WWOOF membership or WWOOFing insurance and hosts will not accept you. Our organisation is committed to respecting the privacy of your personal information. It is bound by a set of National Privacy Principles that establish the benchmark for how personal information should be handled. WWOOF Pty Ltd. has embraced these principles as part of standard operating procedures. This means is that all personal information that enters WWOOF Pty Ltd. is dealt with in a uniform manner and the highest regard is taken for maintaining its security at all times. If you are concerned our organisation may have handled your personal information inappropriately, please contact our Privacy Officer on (03) 5155 0218 or by email wwoof@wwoof.com.au. 000 is the number for all emergency services in Australia. An operator will connect you to police, ambulance or the fire brigade. You should only call 000 in an emergency from any landline phone. For mobile phones the number to call in emergencies is 112. 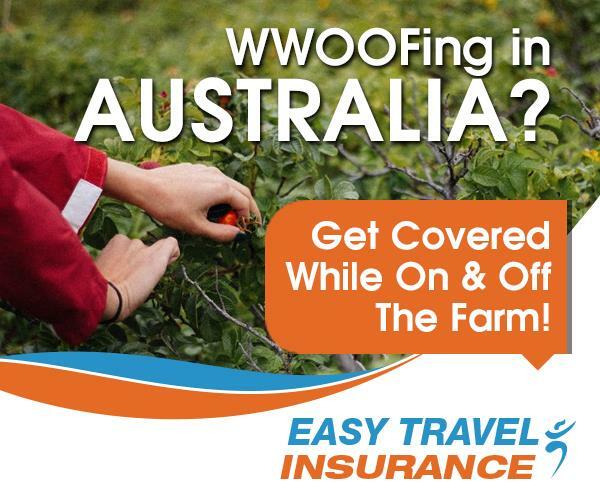 WWOOFers are responsible for their own Travel Insurance, it is very expensive to get medical assistance in Australia. A WWOOFer should be a willing worker, happy to volunteer 4-6 hours maximum daily for food & accommodation and must treat hosts with consideration and respect. Please note the 4-6 hours can be organised around any day of the week, feel free to discuss this with the host prior to your arrival. Our hosts sometimes work weekends so you might be required to volunteer on those days. 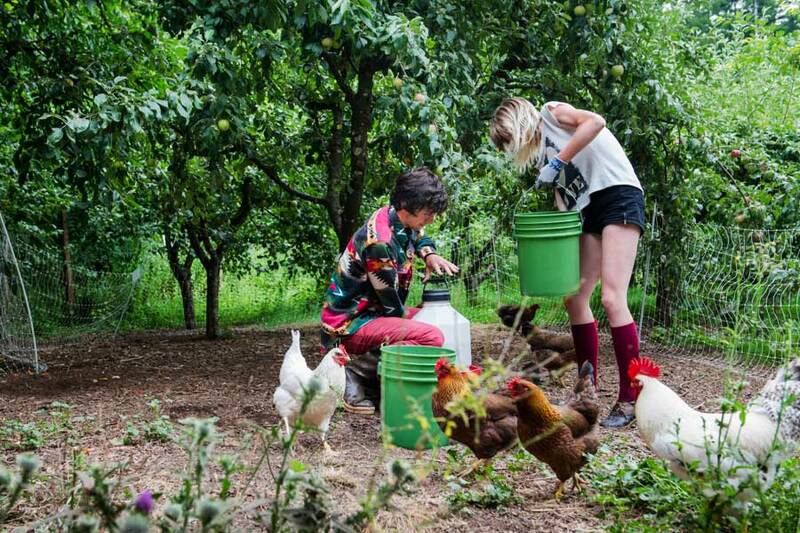 WWOOFers have access to WWOOF hosts. Host contact details are only to be used for arranging WWOOF visits. Any other use is in breach of Australian Privacy Laws. Provide proof of Membership - number or username and photo ID. Your WWOOFer profile in the WWOOF App or website is proof of membership. Record details in host Guest-books, if required by host, the WWOOFer agreement should be signed. Hosts will arrange membership for non-members. Memberships are not transferable. One person per single membership, two people only per dual membership. WWOOFers are responsible for their own travel, accident and medical insurance. Minimum stay = 2 nights. Longer as agreed with hosts. If a host profile is not accurate, please advise WWOOF. WWOOFers may leave if conditions are unacceptable, but must advise host prior to leaving. WWOOFing is a voluntary, non-monetary exchange. 4 to 6 hours maximum volunteer work daily in exchange for food and accommodation. Maximum of 38 hours in any 7 days. This is flexible, check with hosts about work patterns. Work varies from host to host. WWOOFing may include weeding, making compost, gardening, planting, harvesting, building, fencing, environmental works, feeding and caring for animals. Hosts must not involve WWOOFers in the use of chemicals. Hospitality work, waitress and child-care are not acceptable WWOOFing work. WWOOFers require average physical and mental fitness, maturity and independence. 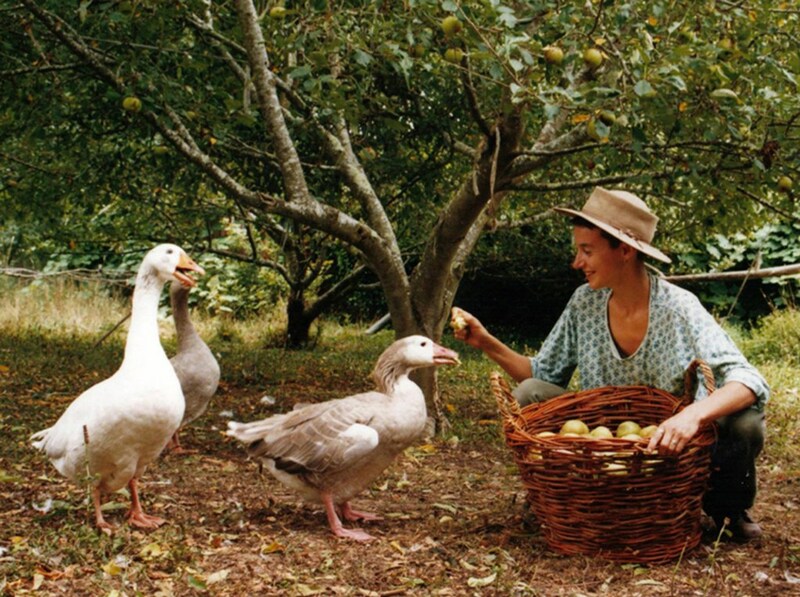 WWOOF is generally unsuitable for persons suffering from psychiatric or psychological conditions. Please contact WWOOF and your Medical practitioner to discuss if in doubt. Contacting hosts: Hosts welcome WWOOFers into their homes, they are not backpacker hostels. Phone hosts around noon or before 9pm, local (hosts) time. Most hosts do not respond to bulk emails or text messages. Always book ahead. Inform hosts immediately if plans change, or you are late. Many hosts travel long distance to pick WWOOFers up. Exchange mobile phone numbers when arranging to meet in case of problems. Children and pets are only accepted on host properties by arrangement. WWOOFers not following these guidelines and/or host House Rules may be asked to leave. Abusive language, inappropriate behaviour and sexual harassment of any kind will not be tolerated, this includes swearing or yelling at a WWOOF Host or intentional, unwelcome touching of any kind, including hugging. If we receive complaints of this nature, your WWOOF membership may be cancelled. WWOOF Pty Ltd may cancel a WWOOF membership if the WWOOF guidelines are not followed. 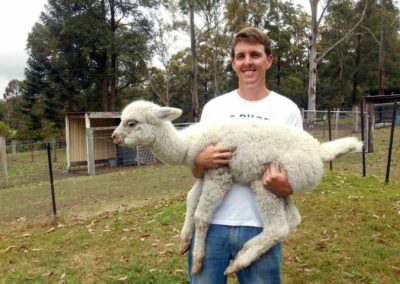 NOTE: WWOOF does not condone the breaking of Australian laws. WWOOF will cancel a WWOOF membership immediately if the member’s actions may bring the WWOOF program into disrepute. Ask your host what they think you will need beforehand. Hats, sunglasses, sunscreen, boots, gloves and torch are always useful. A phone card and internet dongle. Telstra has the best mobile coverage in rural areas. Always prepare before you leave, check Google before you embark on this incredible journey so you are equipped for the conditions. Bring along your sense of humour, it is a prerequisite for WWOOFing. You will be working along side your host and sometimes it can be hard work but a lot of fun. Remember to ask before you arrive what work will be involved so you fully understand what is expected from you and what skills may be useful. Be honest with your host, particularly if something is bothering you. Advise the host immediately if plans change and you wish to leave early, giving time for their host to find alternative assistance. Talk things through and find solutions. Ask permission. Do not raid the refrigerator or pantry, use telephone or internet* without asking. Food is provided by hosts. You may need to bring your own special dietary food. Offer to cook your favorite meal for your host. Keep the living area tidy, clean up yourself and help with meals or washing up. Try to understand that hosts are all different, have different house rules, behaviours and expectations. Respect these rules and learn from each different cultural experience. Water, gas and electricity can be very expensive in rural areas. Short showers can be enough to get clean, water is often a precious resource on farms. *Remember to always ask permission before using their Internet. Many hosts rely on satellite Internet with very small data plans, (downloading a movie can use a month's data allowance). We are sure you will conserves energy and other resources on the host property. WWOOF (World Wide Opportunities on Organic Farms) started in England in 1972 when the first WWOOFers spent a weekend helping on an organic farm in exchange for their keep. The organisation was initially called Working Weekends on Organic Farms, but was changed to Willing Workers on Organic Farms after people asked “why only weekends?” Gradually WWOOF groups around the world changed this to World Wide Opportunities on Organic Farms. Today there are over 55 WWOOF groups all over the world. All WWOOF groups are independent, but operate in a similar way, by putting people into contact with each other. Throughout the world the WWOOF philosophy is the same; WWOOF hosts provide food and lodging to travelers and students in exchange for between 4 and 6 hours work per day. Lionel Pollard began WWOOF Australia in 1981, he retired in 2000. 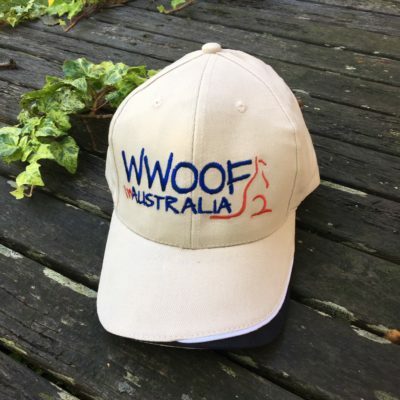 WWOOF remains 100% Australian owned, managed and operated. 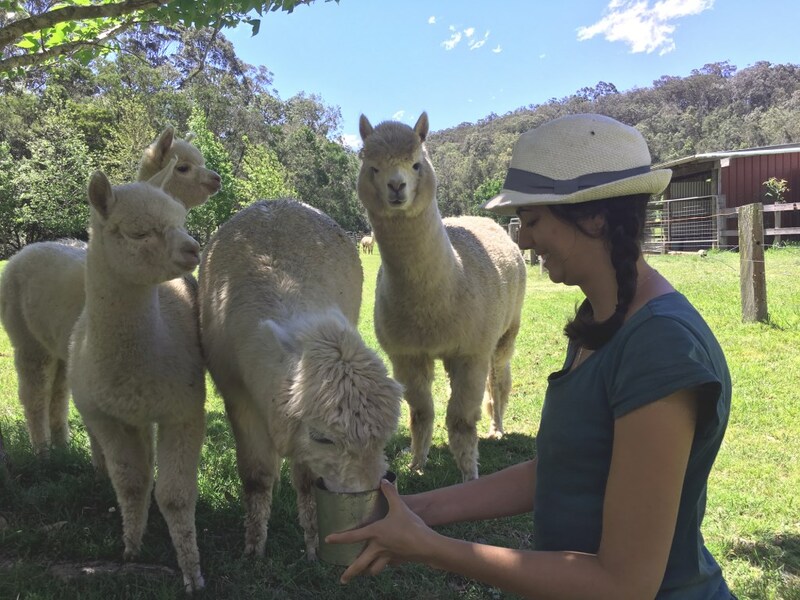 The WWOOF Office is located in W Tree in the foothills of the Snowy Mountains, East Gippsland in Victoria and currently has a Team of four, two in the office as well as a Webmaster and App developer. WWOOF Hosts all over Australia were originally listed in the Australian WWOOF Book, which was updated and printed twice each year from 1981 until 2017. 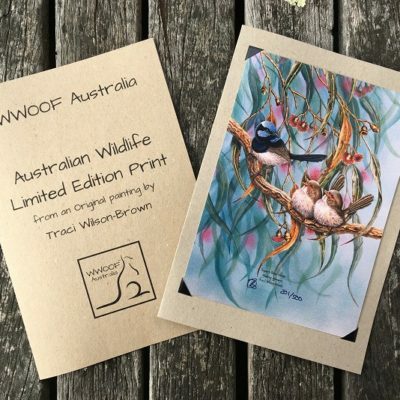 The WWOOF Australia App was launched in August 2015 and gradually replaced the WWOOF Book, with the final edition being printed in July 2017 due to a lack of demand. The App provides up to date host contact details, a profile of each property, the work to be done, meal types and accommodation. WWOOFers simply browse through the hosts or search for a specific interest and location, choose a place they would like to go and contact the host to arrange a mutually suitable time to visit. The choice may be based on geography (close to a route they are travelling); philosophy (such as bio-dynamic farming practices); cultural (many of our hosts speak other languages as well as English) or it may just sound like an interesting place to visit. WWOOFers live and work with the host families in the same way as relatives and friends do when they visit. In October 2017 the WWOOF Website platform was launched with Host and WWOOFer Profiles, messaging, forums, noticeboard, map and list searches and availability calendars for all members. In April 2018 an upgraded WWOOF App was launched to reflect the features of the WWOOF Website, allowing WWOOFers to also search for Hosts while they are off line.